Renna's Discoveries: Epsilon.Life Vitamins - Stay Healthy with Vitamin D3!! Epsilon.Life Vitamins - Stay Healthy with Vitamin D3!! Now its winter, we need to make sure we are extra healthy so we reduce the risk of becoming ill with infections and colds. So, we now need to eat as healthily as possible with extra vitamins to keep the sniffles away. To supplement your healthy diet, vitamin tablets are always a great thing. Especially Vitamin D. The sun is no longer around for long periods of the day, so we loose our Vitamin D intake, which our body produces with the suns rays. Vitamin D deficiency is more common than you think. Even by wearing high factor sun cream every day can even effect how much Vitamin D your body produces. So people that live in really hot countries should take vitamin D supplements, aswell as people that are over the age of 50, or if you are overweight. One way of knowing if you lack vitamin D is if you get a sweaty head. I never knew that before, but, I will keep an eye on other people that I know to see if I can suggest a fabulous product to help them out. Other signs are feeling tired and getting achey bones. Another important factor is if you have bowel problems, like crohn's, bowel disease or coeliac disease. Vitamin D is a fat soluable vitamin, so if you have too much fat, it will just soak it up and go no where as there is too much fat for it to make a different, and if you don't eat many fats, there is no way of soaking it up to give you the benefits. Keeping your vitamin D intake high can help prevent cancers, heart disease and many more diseases. So better to be safe than sorry I say. 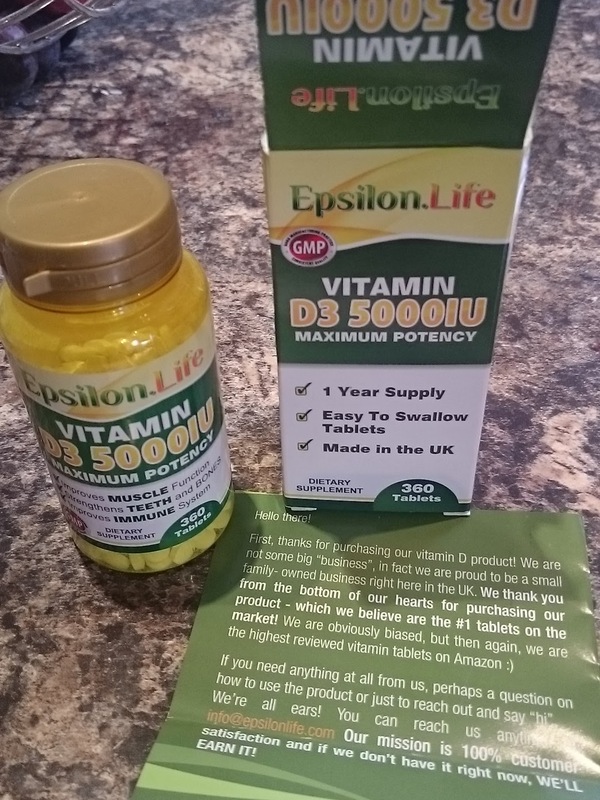 Epsilon.Life has created an amazing blend of Vitamin D3, as this is the highest you can get. This is the maximum amount of Vitamin D you can take in a day. 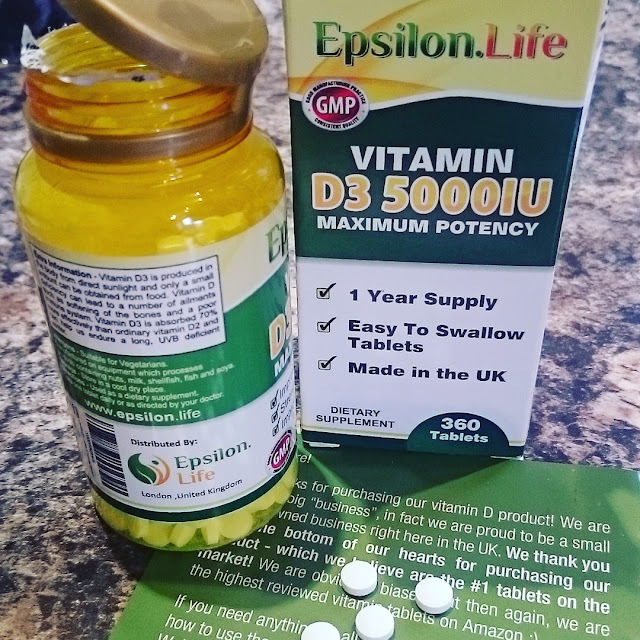 On the box it states that vitamin D3 is absorbed 70% more effectively than D2 and will help us out more during the dark winter months. 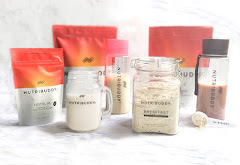 At the beginning of December, I stopped taking supplements for a week so I could test the difference. When I started taking these tablets, I instantly felt so much better, and have felt much better since. In the week off, I was tired and moody and now, although I am still a little tired, however that's down to late nights wrapping presents and catching up on TV, I feel so much better in myself. I do get out every day as I have to do the school run and walk the dogs, but, as its been so cloudy lately, I've hardly seen any sun, and I can definitely say, it has made a difference to my moods. 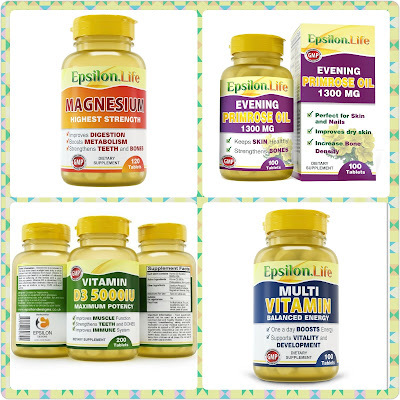 Epsilon.Life is a family run business based in London England. They are the best selling vitamin supplement on Amazon.com for D3 in Europe and have the reviews to show it. They supply the Vitamin D3 as a yearly supply. 360 tablets in one !!! Personally, I think that's brilliant. A tablet a day for £16.99 RRP from their website (Check out their latest sale of £12.99 a bottle) is nothing. I think its well worth getting. 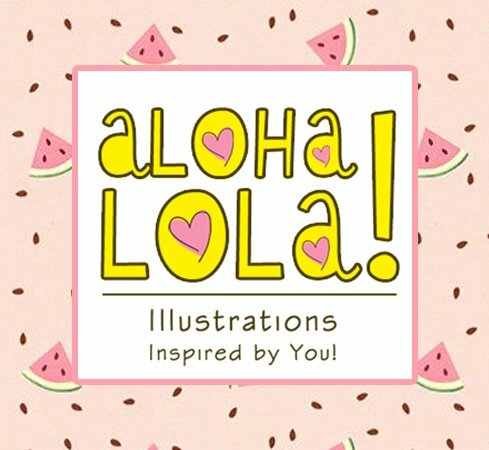 DISCOUNT CODE: If you buy direct from their website HERE and type RENNA at the checkout you can get £5 off your order. 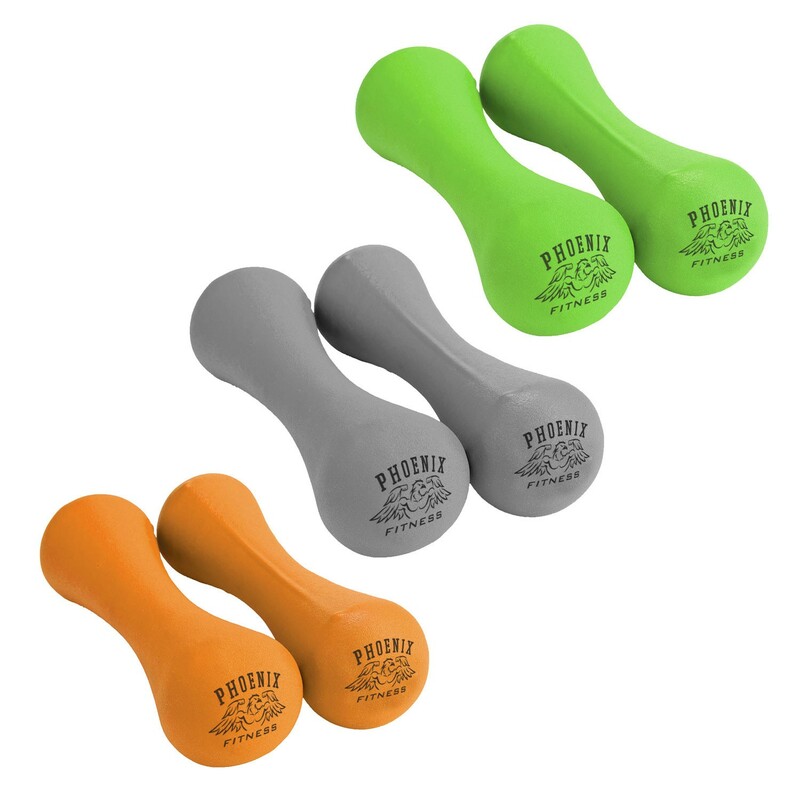 They also supply Magnesium tablets, Evening Primrose Oil, and the fabulous best selling Multi Vitamins. 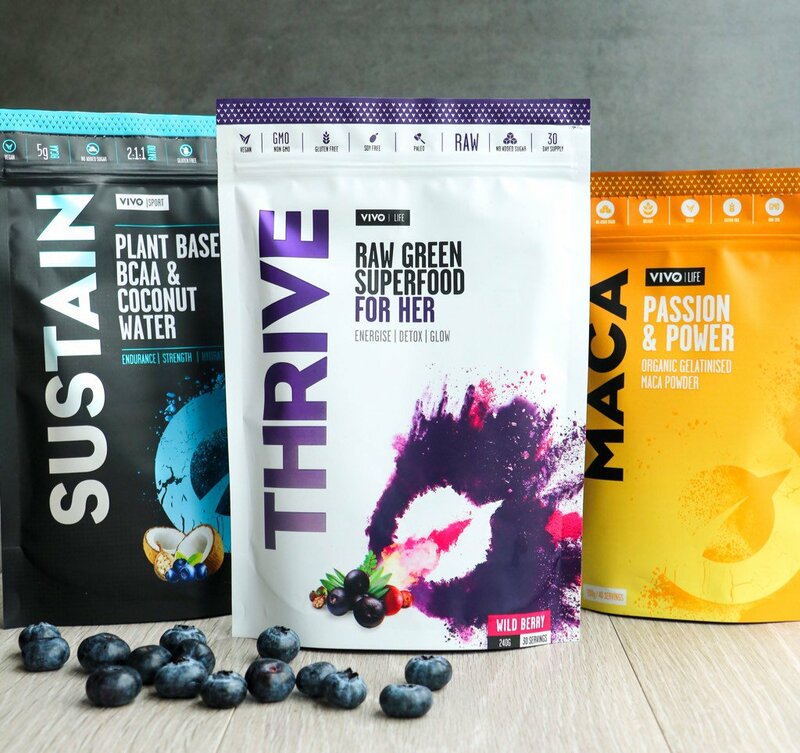 I do believe that supplements are brilliant for everyone, as even with the best diet in the world, a little supplement is always a bonus. 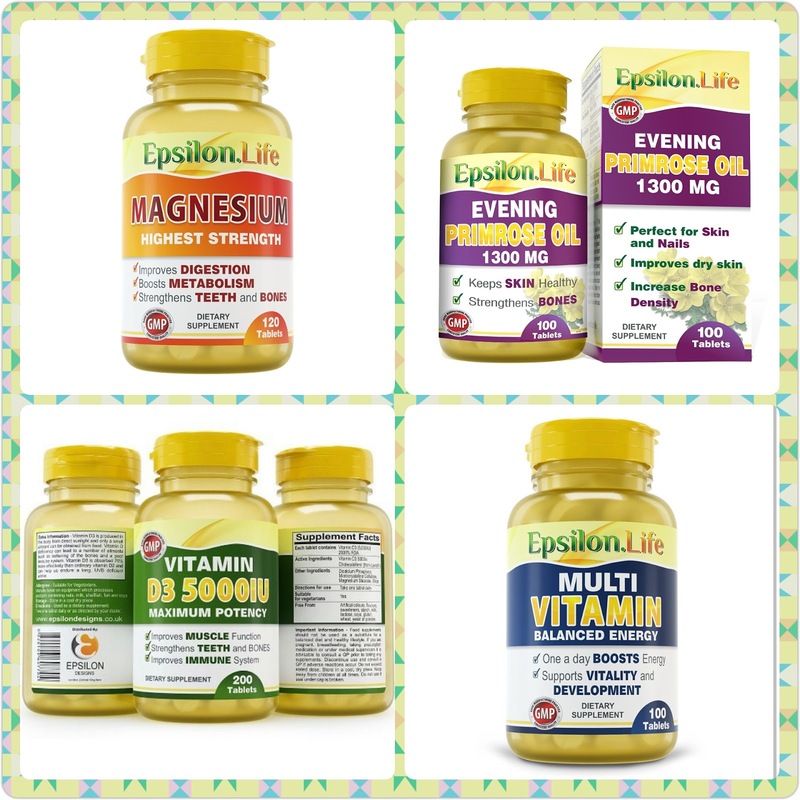 Have you tried Epsilon.Life? Let us know your thoughts.